Taking Back Up Offers!Put your own footprint inside this condo & outside on the pearly-sugary sand. The 2/2, 1160 sq. ft. unit on the 4th floor at Envoy Point East on St. Pete Beach’s Northern tip is ready for your design touch. The turnkey unit can become your permanent residence, for use during the winter season or an investment property(3-month minimum). 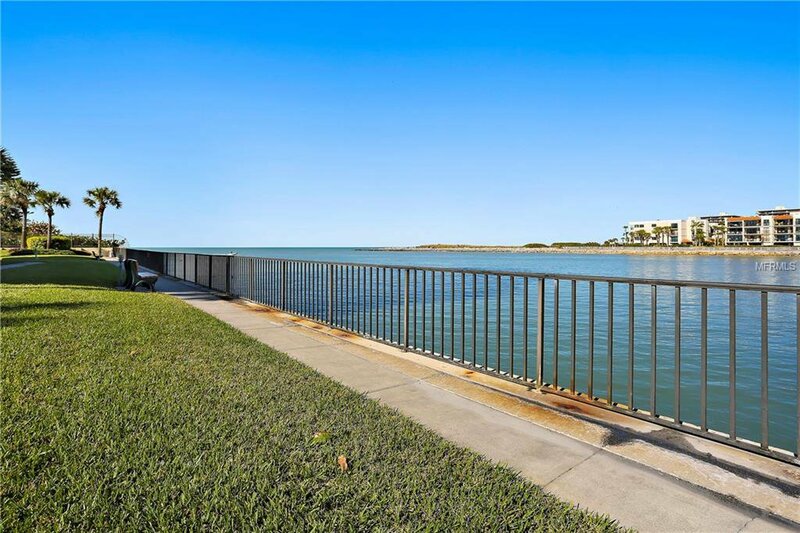 Your balcony has views of Blind Pass Waterway, the Intracoastal and one of the two heated pools in the complex. The balcony is a year-round treat. Your view of the same can be seen from the master bedroom also. The sunsets are remarkable, and watching the boats drift by, is pure joy. Take a stroll around the grounds to its lovely Beach Garden and the path leading you to the beach just steps away. Envoy Point is a highly desired and well-kept complex to reside in. The East building has been freshly painted and recently renovated. Its surrounding area is dotted with waterfront restaurants and bars, shops on Corey Avenue, Morning Markets, concerts in the park and many more activities at your fingertips. All are very convenient to Envoy Point . You will be pleased to know the first-class amenities in the development include: 24 hour gated security, two waterside heated pools, community grill, fitness room, steam sauna, two clubhouses with recently remodeled full kitchen, seawall to fish from, lighted tennis courts, basketball, pool table, ping pong and shuffleboard. What more can you ask for? ALL FURNISHINGS are included with the unit. No pets. Call Today! Listing courtesy of KELLER WILLIAMS GULF BEACHES. Selling Office: KELLER WILLIAMS REALTY S.SHORE.